You must make reservations at least 5 minutes in advance of the time at Addison Cafe. 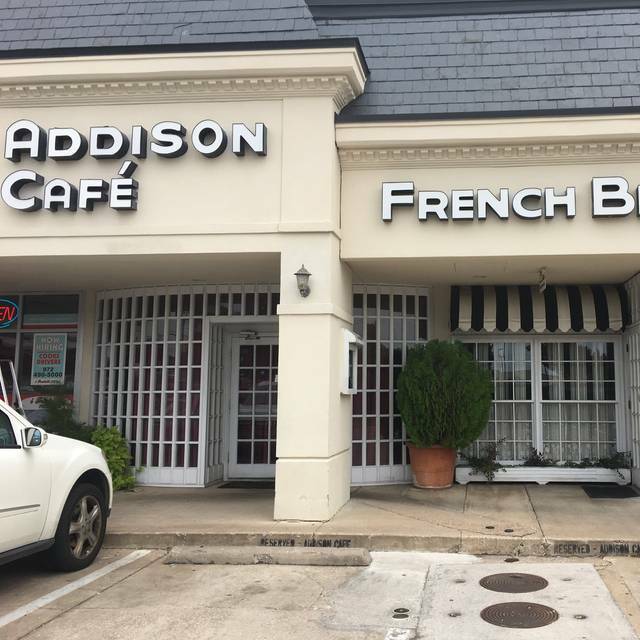 Addison Café offers guests in Dallas a menu filled with French culinary delights in an upscale environment that is perfect for an elegant evening out. Guests at Addison Café can begin their dinner with an appetizer such as smoked Scottish salmon or duck confit, and follow this with a delicious entrée such as roasted quail, baked ravioli or pepper-crusted filet steak. Addison Café also serves lunch, but you won’t find a pared-down version of the sophisticated dinner service here. Lunch at Addison Café is every bit as delicious, and includes special dishes such as Poulet Victor Higo and Poulet Casear. Finish your meal with a delicate French dessert such as crème brûlée. Food and service were exceptional as usual. We will return soon. Great we have several meeting there every year and food is alway good reasonaably priced and the place is quiet so you can hear each other talk. Great romantic visit to Addison Café. While the crab cake special appetizer was just okay, everything else was outstanding. My wife had the SCassolette de Fruit de Mer, which is seafood in a fillo cup. I had the smoked salmon, which is a delicious and unique preparation, and the rack of lamb in a peppercorn sauce, which was cooked just perfect. We will definitely return. excellent food that is well priced and the wait staff is lovely! Excellent food if you're a fan of French cuisine. The Savignon Blanc by the glass was also quite good. The four of us all had different entrees and we all thought they were very good. We had a great time. Food was delicious and the presentation was superb. Will go back at dinner time for another special celebración.i will be there on Wednesday for lunch with a friend. Great place!!!!! I have been eating at the Addison Cafe for 20 years. It is always really good. 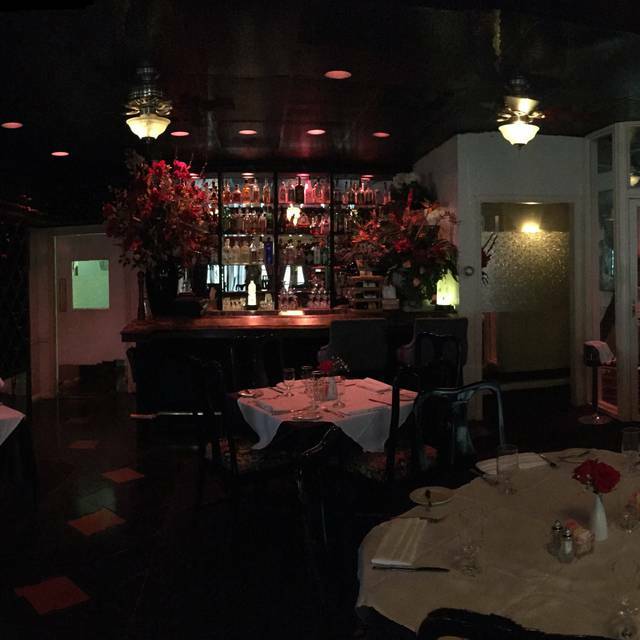 It is a small restaurant, excellent food and service, and has an intimate atmosphere. You can have a conversation with the rest of your dinner party without screaming over a din of noise. haven't been there for a while---my loss. as good as ever. Great as always. Been going since it opened and it is consistently excellent. I was happy with the food, but the service was disappointing. 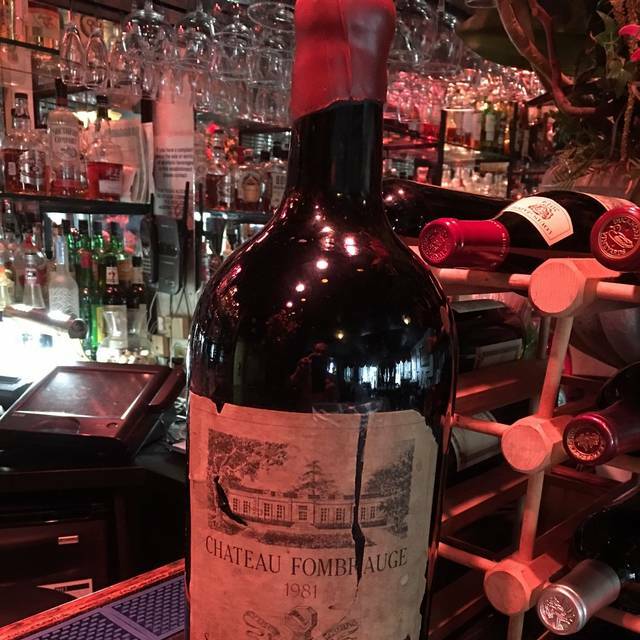 I was taking two friends to dinner, and my guest wanted to buy the wine. two credit cards. He charged my guest with the full meal and I was charged for the wine. to cover the mistake. Very disappointing. 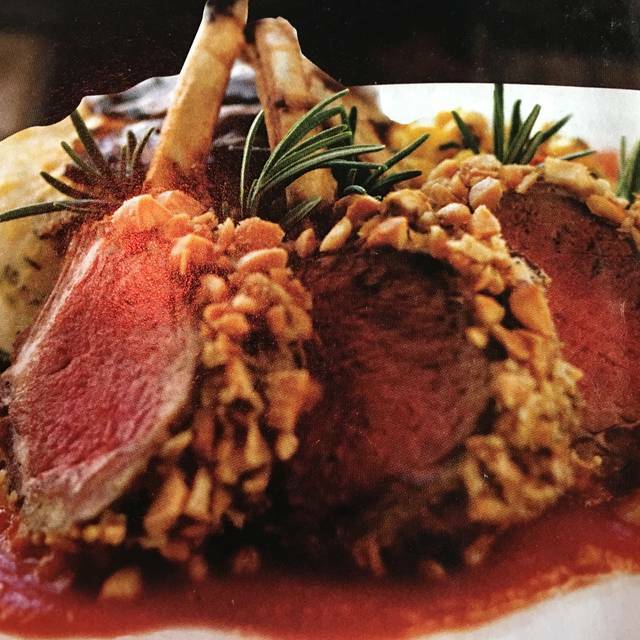 The ambiance was excellent, Ali was very attentive in ensuring our food was prepared to our liking and the restaurant has a large selection of French cuisine to suit everyone's taste. he last time I had this excellent cuisine was in Lyon ,France. We enjoy the quiet atmosphere and outstanding service. We missed the dessert souffle that they used to have many years ago. We had not been to Addison Cafe in years since moving to McKinney. Based on how much we enjoyed it before we decided to treat our college age daughter and her roommate to dinner there. We hoped it would be as good as we remember and the Cafe did not disappoint. The wait staff did a wonderful job of making the girls feel welcome and special. Food was excellent and the dining area had good customer energy but not too loud. The overall experience met our expectations which were high given our history there and candidly the prices. We will be going back again but won’t wait years this time. Yes I would recommend, starter & antre & wine were perfect, dessert was not, over sweeted & like from Wallmart , I guess you can’t get all! Addison Cafe continues to be our "Go To" restaurant in Dallas. Great food, great service as always, a wonderful experience. Always an excellent experience. The food is wonderful, portions are European sized so you don't leave feeling stuffed. You leave feeling satisfied and looking forward to your return. The owner & staff are attentive, friendly and knowledgeable. It's a pleasure to spend an evening with them. Quiet, elegant chic dining spot with delicious food and attentive service. French rolls were delicious. My wife and I have dined here on a number of occasions, most recently for our anniversary. The food and service are always top notch and they even treated us to a piece of their delicious cheesecake in honor of our special event. Thanks guys for a wonderful time. Nice ambiance, alittle bit of Paris in Addison. Great menu and service. Food was very good but dessert 'crepes normande' was not good at all. Crepe was very tough and chewy....a disappointing end to dinner. Waiter was good, but attitude could have been more caring. This is one of our favorite restaurants have always had great service and wonderful food. The waiter was bordering on rude. We asked for a wine list and he said you have to buy a whole bottle so do you really want to see it? Acted like he was annoyed we were there. The food was good but was put off by the whole experience. Was not aware of the set menu. Would try once more maybe. We had Christmas dinner here. They were serving a limited menu, so we did not get to try what we would have from the full menu (they did not mention the limited menu on OT or the restaurant's website). The food was very good, especially the cappuccino pie we shared! Service was outstanding. We will definitely have dinner here again. In the 20n years I have been dining at the Addison Cafe, I have never been disappointed. 14 years ago we had our wedding dinner there, with 16 of us. They did a great job, as they did a couple nights ago for dinner with friends. The menu has not changed very much but the offerings are all consistently delicious, and it offers a good variety of choices. Wines by the glass are all very nice. The service is excellent. The setting is quiet and you can have a conversation without straining and screaming over loud noise! Great place to go if you really want to converse with your dining companions AND eat nice food. Food was good, but service was somewhat lacking. My guest ordered a side salad and never received it. I asked for extra dressing, on the side, for my salad and the extra dressing was added to the salad and not put on the side. Been coming to Addison Cafe for years, and it never disappoints. Food is always terrific! Everything my wife and I look for is standard operating procedure at Addison Café. Great food, superb attentive service and a quiet refined atmosphere. Our "go to" restaurant in and around Addison. We came on Thanksgiving - usually a difficult day for dining. Everything was perfect. There was plenty of food and it was terrific. Service was amazing. Atmosphere was pleasant and we could have lovely conversation. Despite it being a holiday, we never felt that the wait staff were rushing to turn the table. All around a great experience and we now have a new Thanksgiving tradition. My wife and I are starting to use Café Addison for special occasions. Service is pleasant, food is wonderful. Dress is casual, but the décor, tables, and staff are not. I also have checked a couple items on the wine list against the pricing at the liquor stores. Very reasonable mark up. Smoked Salmon appetizer was outstanding and we love the quiet, gracious atmosphere[here. Excellent in every way. Highly recommended for top-notch food and service. Intimate atmosphere but with plenty of room between tables. One of the very best French restaurants in town. Addison Cafe is wonderful. It is a quiet place where you can have a conversation, rather than have to shout over the crazy volume in the restaurant. I had prospective customers in from out of town. The menu let everyone have something they liked. The staff was attentive without hovering. It was a great evening for all. Addison Cafe has been one of our favorites for many years. It is consistently good in all respects and always a pleasurable experience. Whether we go there alone, with friends, or to "wine and dine" potential business prospects, we have never been disappointed. It is a north Dallas gem. Great food, service and atmosphere. Consistent every time we visit. Quiet place for my mom's 80th birthday. Fish was excellent.